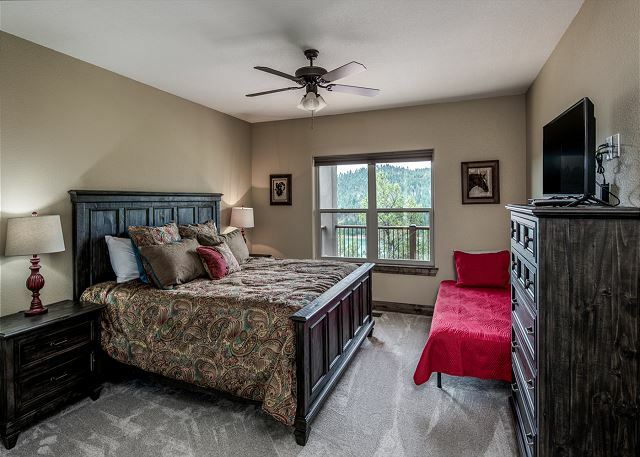 This multi-story home with eight bedrooms and eight bathrooms will easily accommodate up to 24 guests. 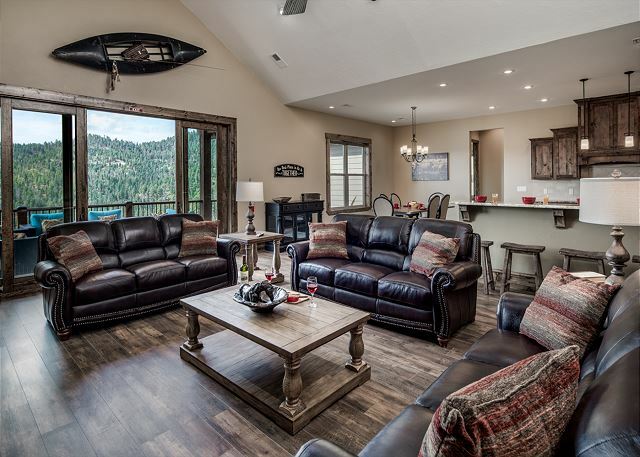 High in the mountains with a spectacular view above Grindstone Lake is the one of a kind Grindstone Lake Lodge. 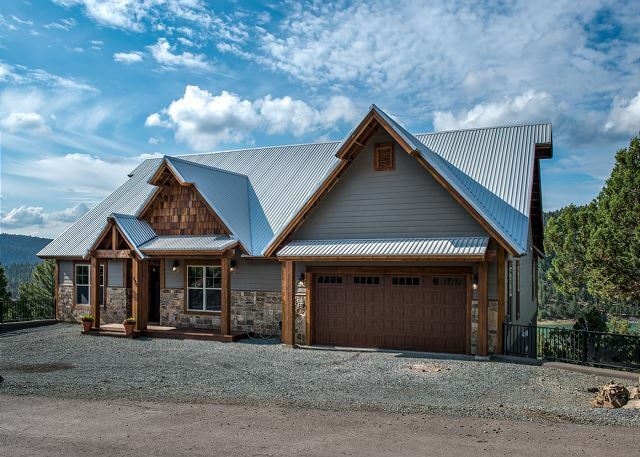 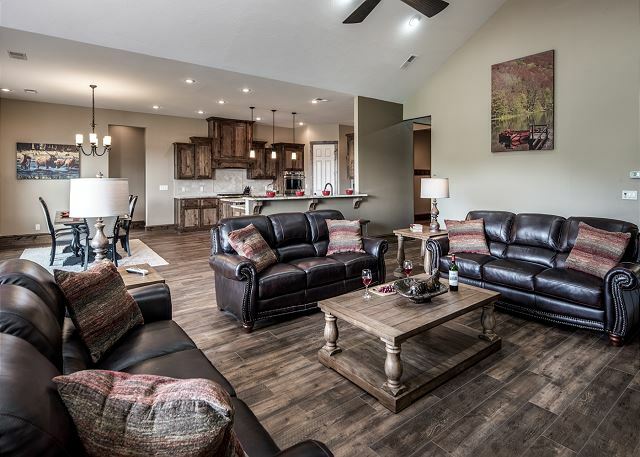 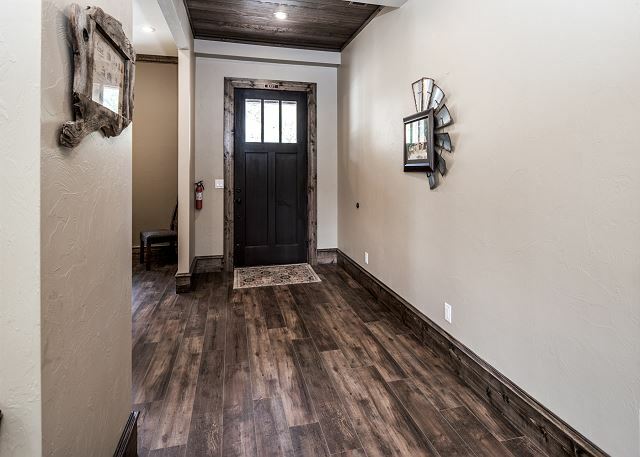 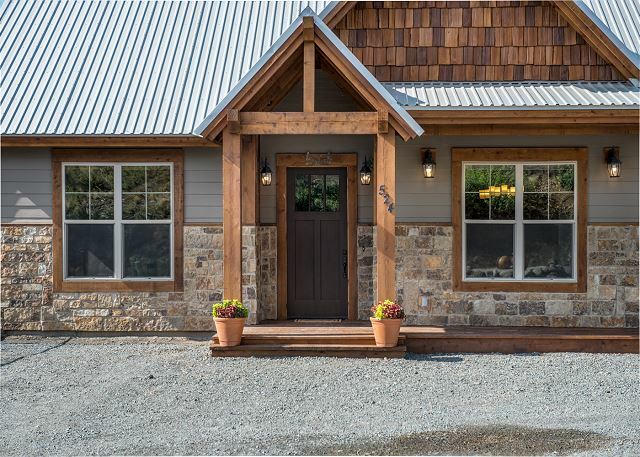 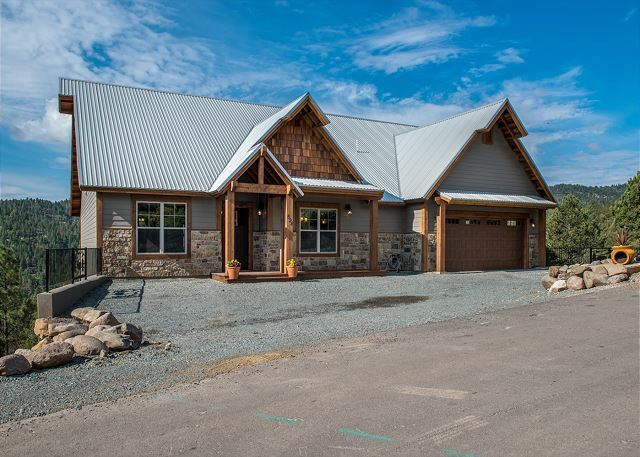 Once you’ve arrived and walked through the front entrance, you’ll marvel at the beauty of this brand new vacation home. 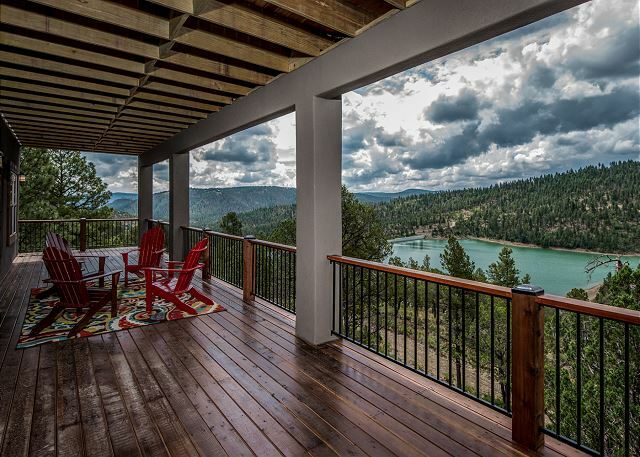 The views from the windows and decks are beyond compare and words do not suffice. 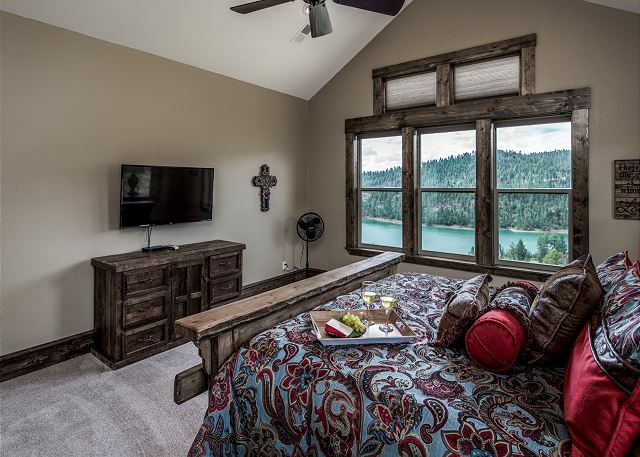 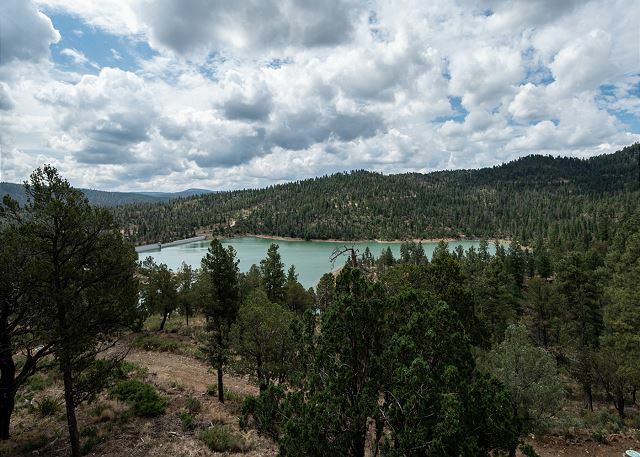 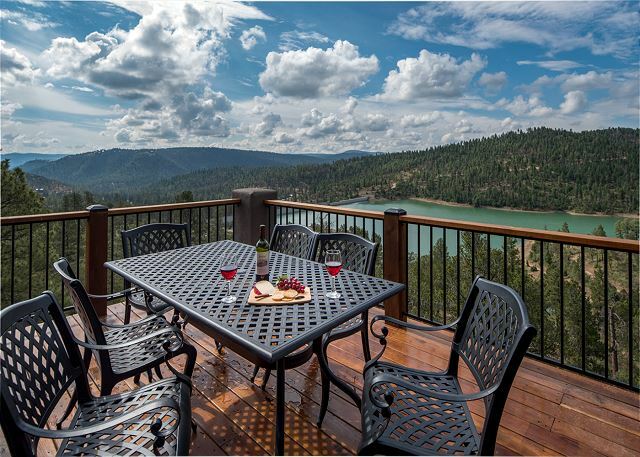 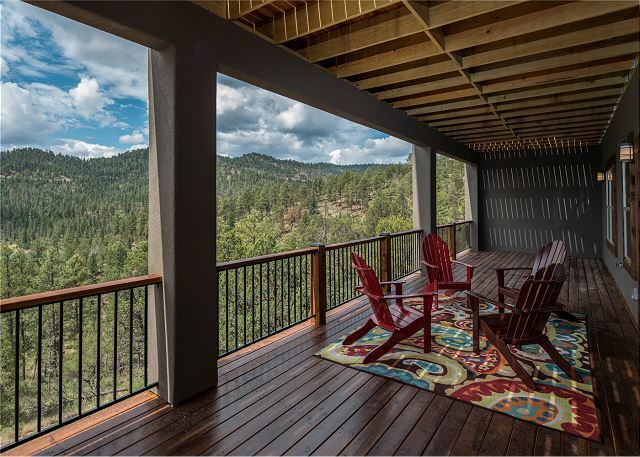 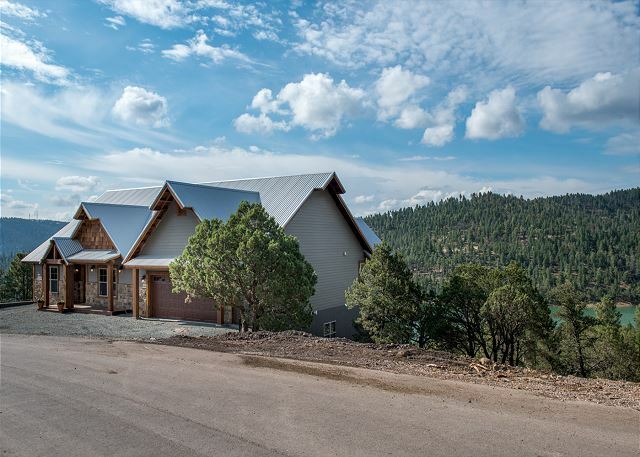 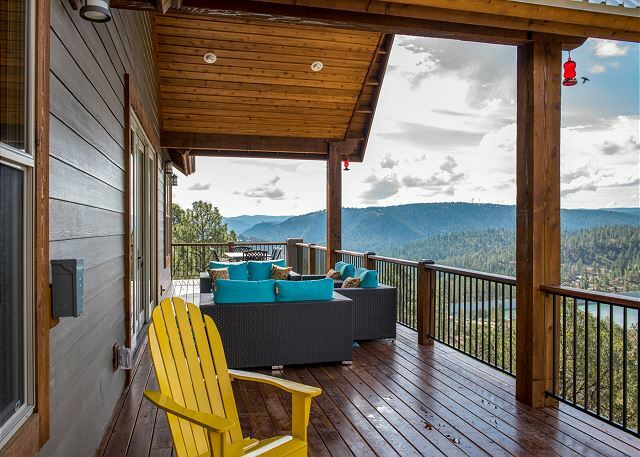 There is absolutely nothing else like Grindstone Lake Lodge in all of Ruidoso and we dare say all of southern New Mexico. 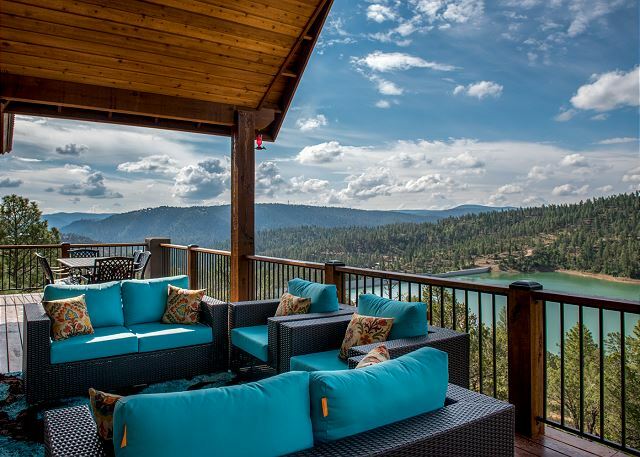 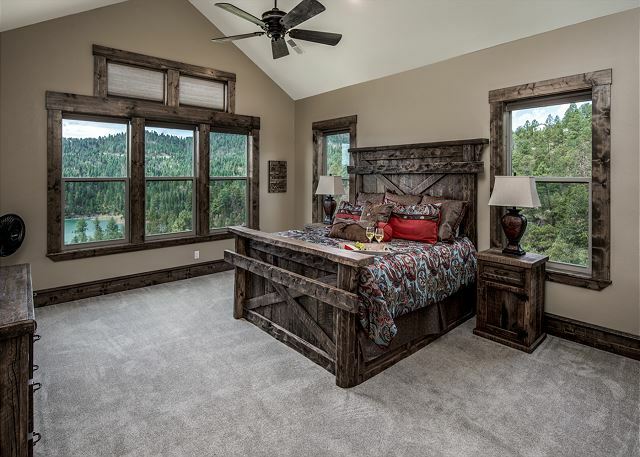 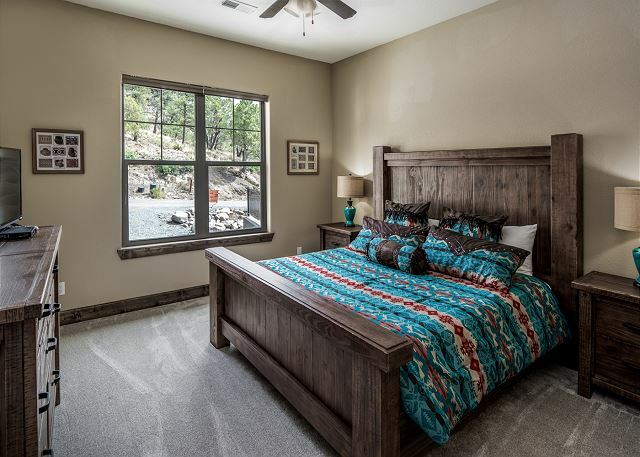 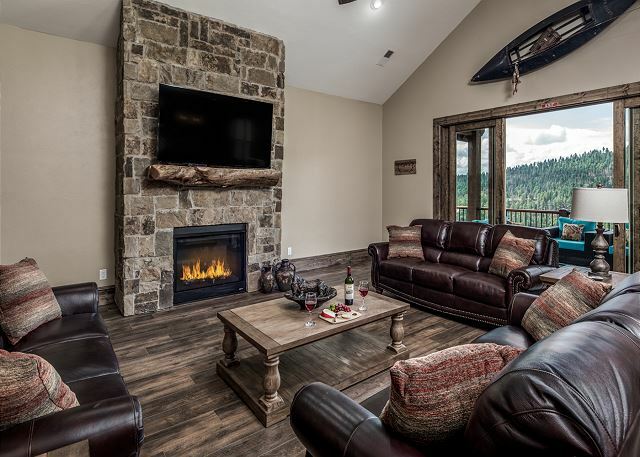 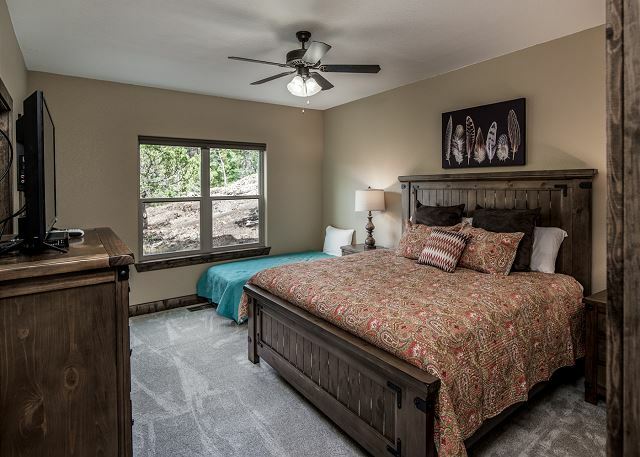 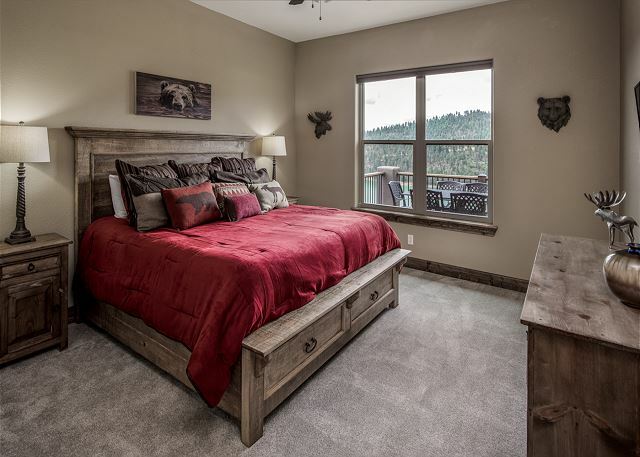 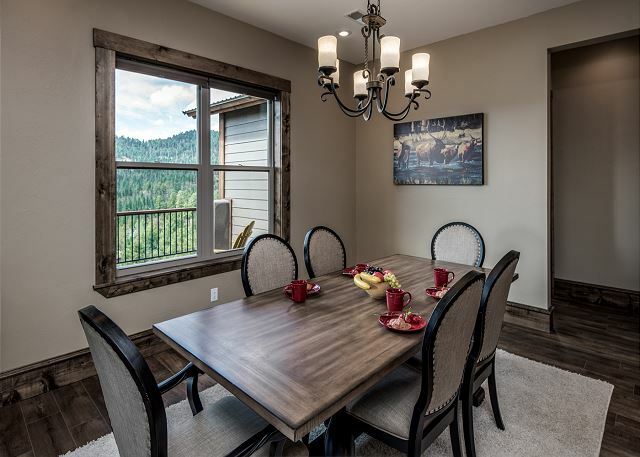 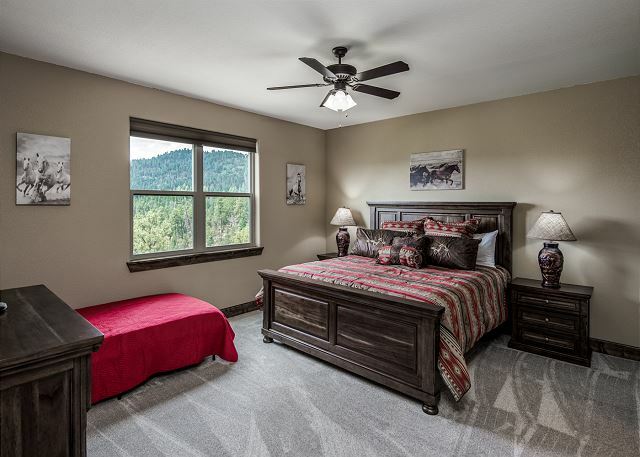 There are so many things to do in the area such as hiking, skiing, shopping and enjoying the cool mountain air that you may feel the desire to stay out late and enjoy but when the time comes to return home and relax you will be rewarded with all the luxuries fit for royalty. 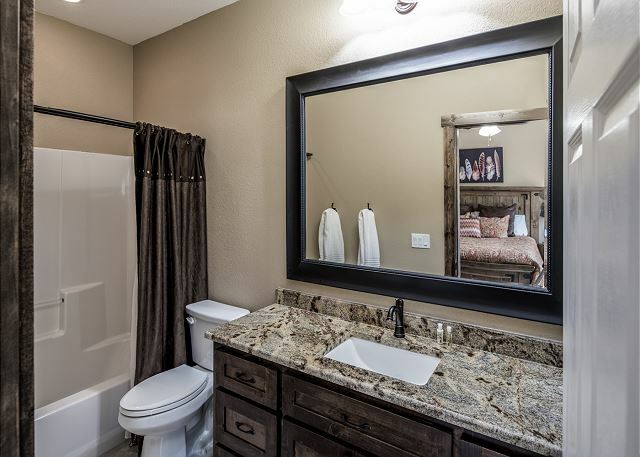 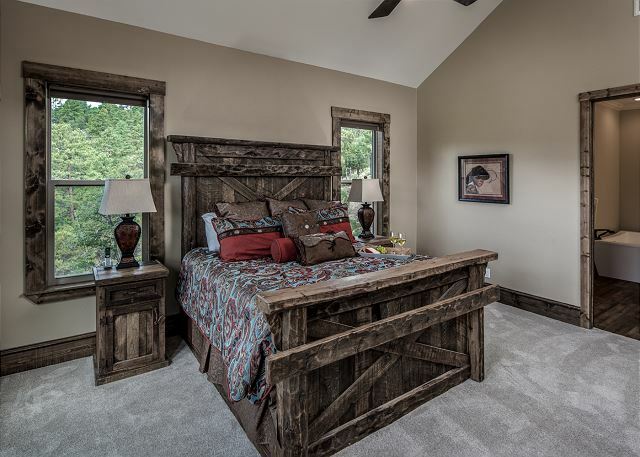 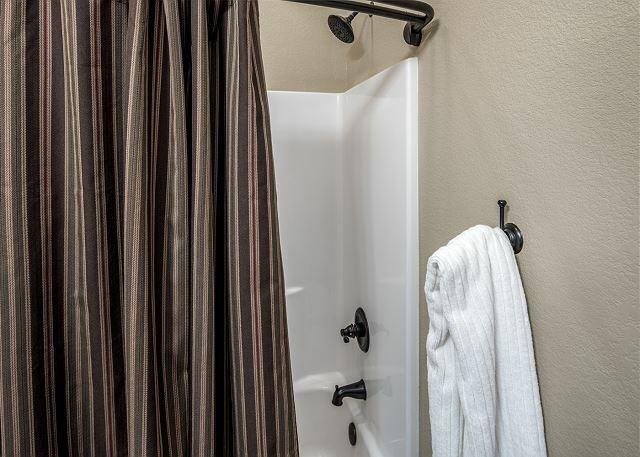 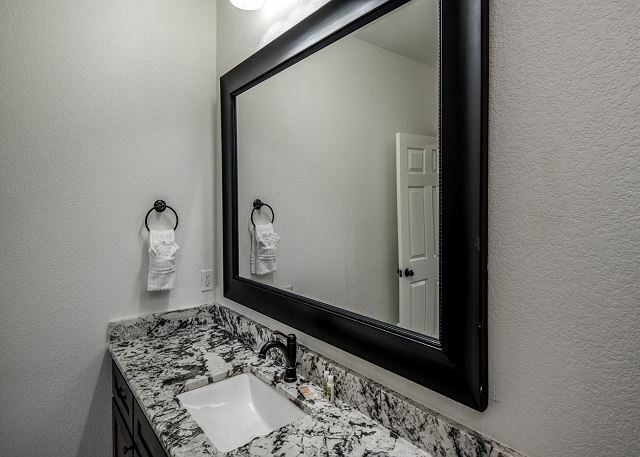 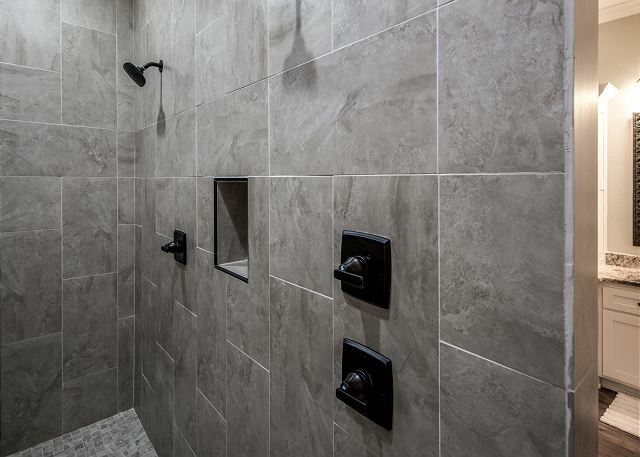 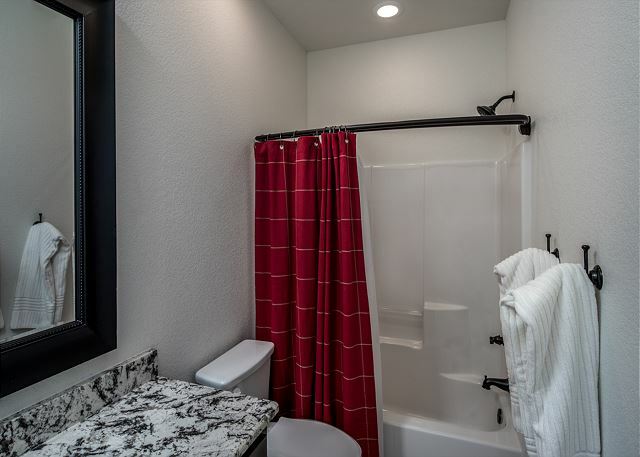 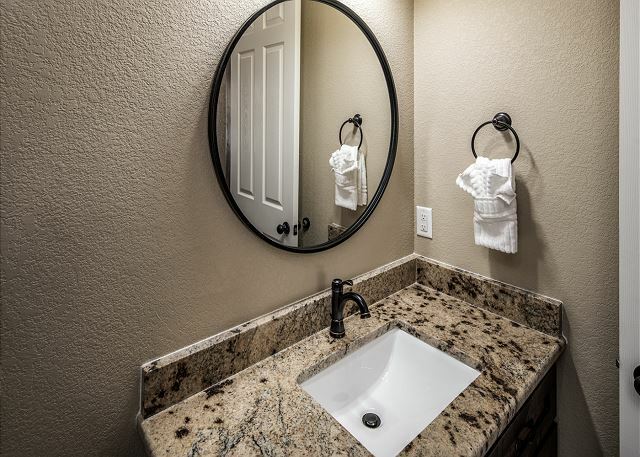 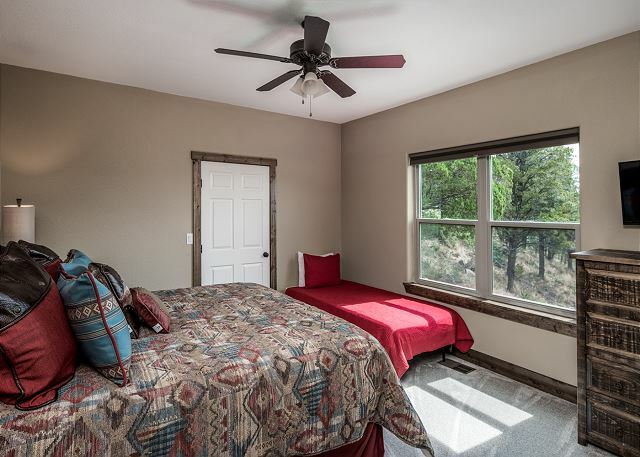 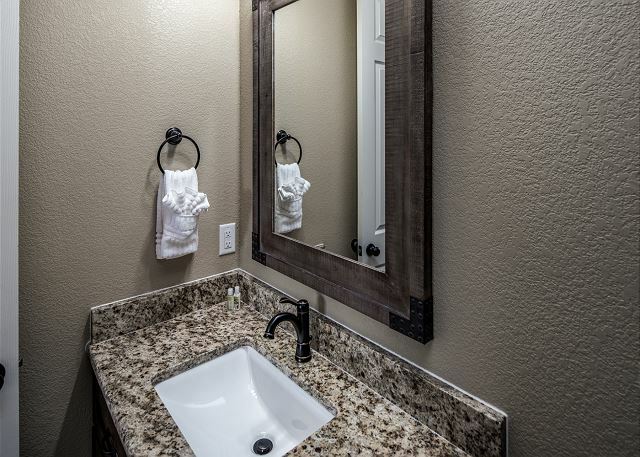 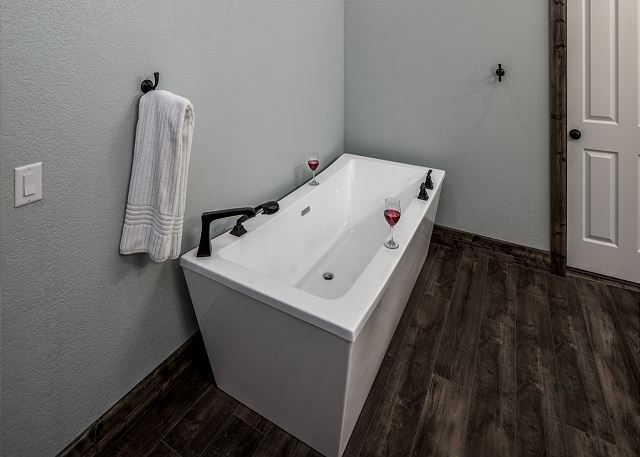 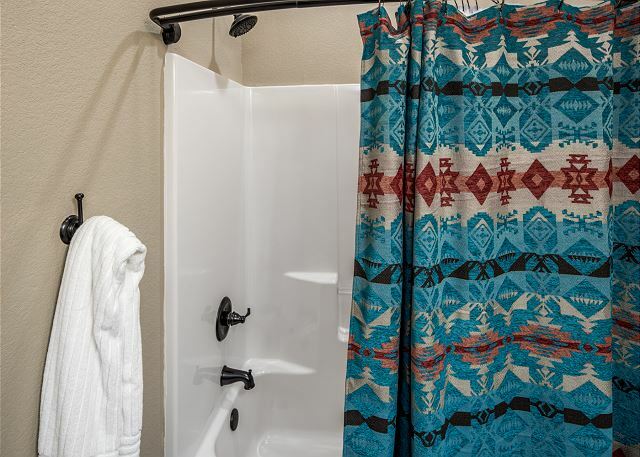 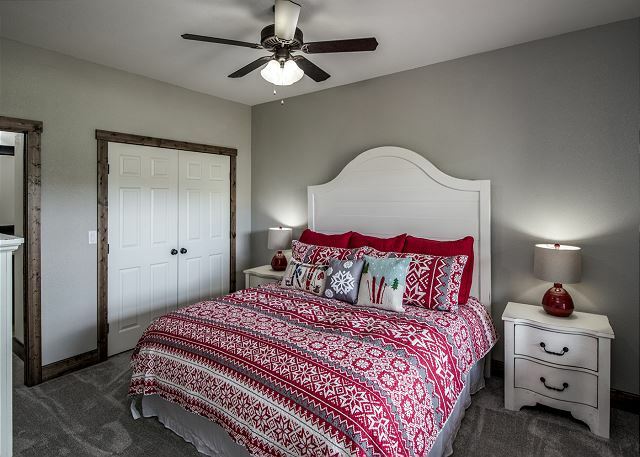 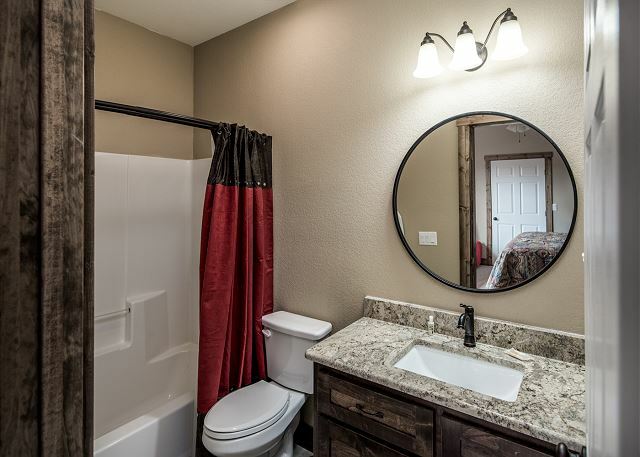 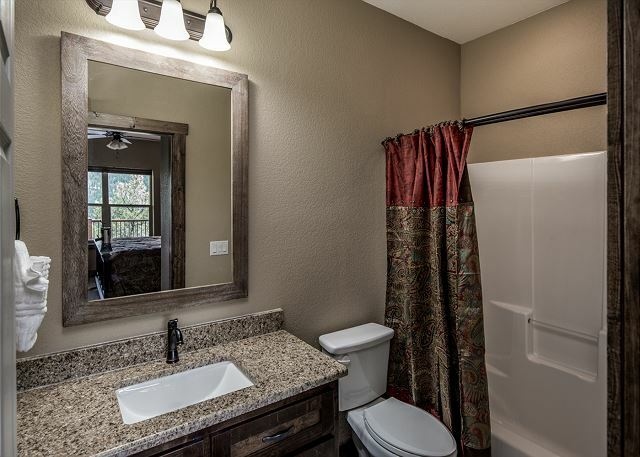 The many bedrooms offer comfort in abundance as well as the adjoining bath areas. 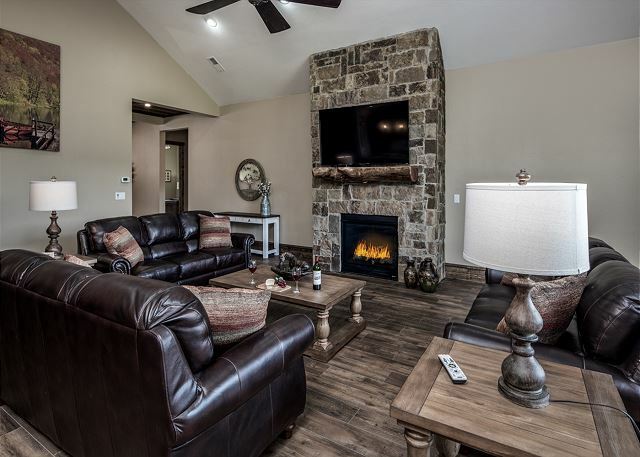 Entertainment is available throughout with Internet and TV's. 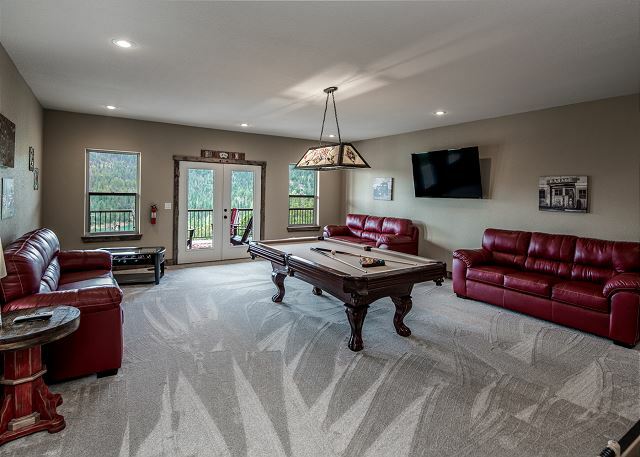 The game room will offer hours of enjoyment with the various gaming tables. 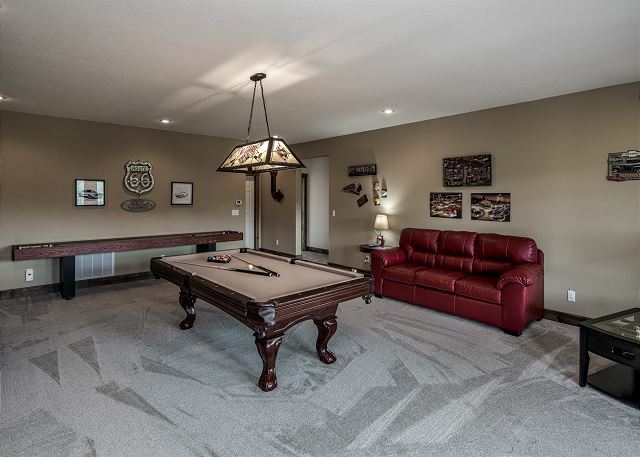 Your group will have loads of fun in this room and all the challenges it will offer. 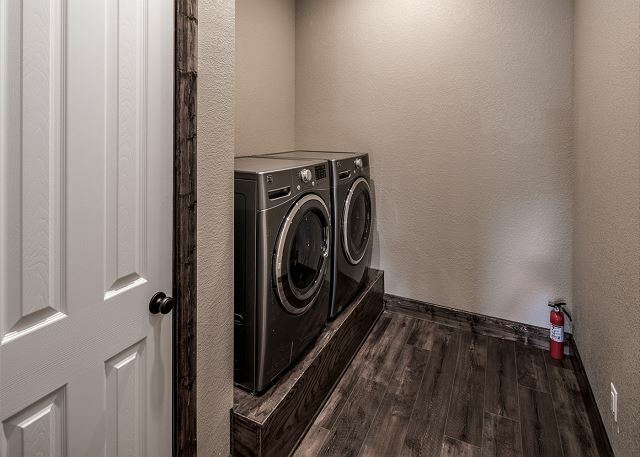 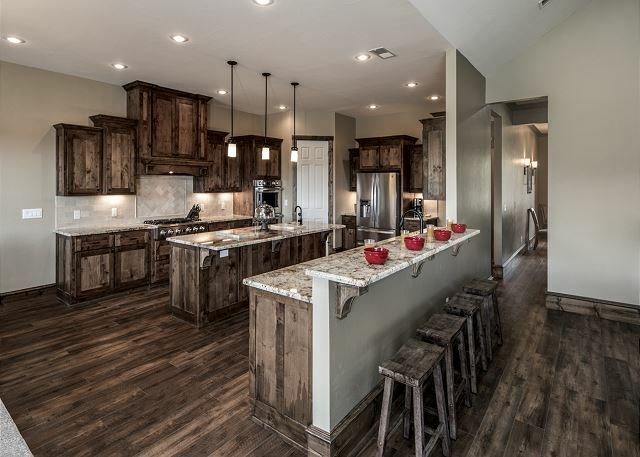 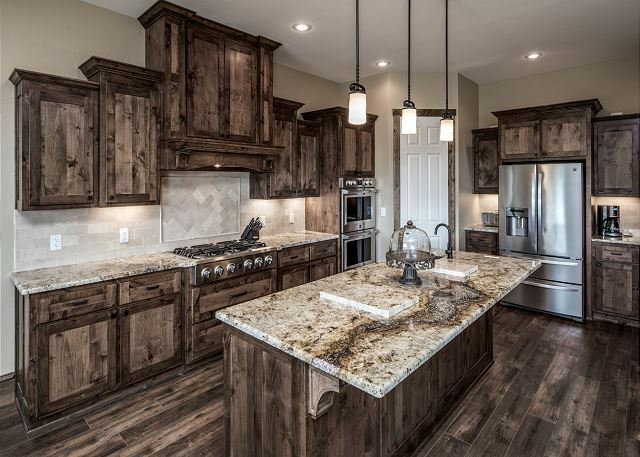 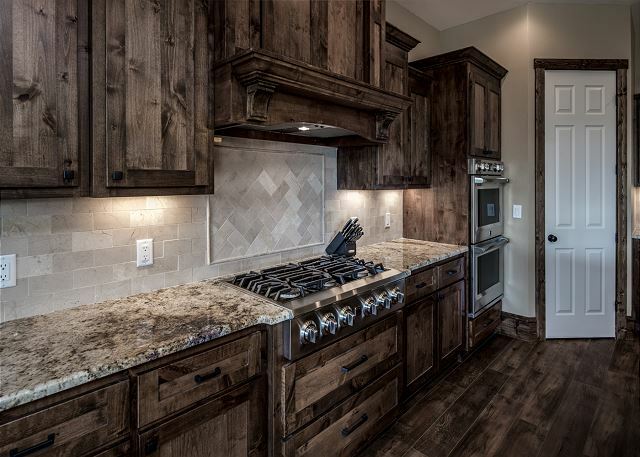 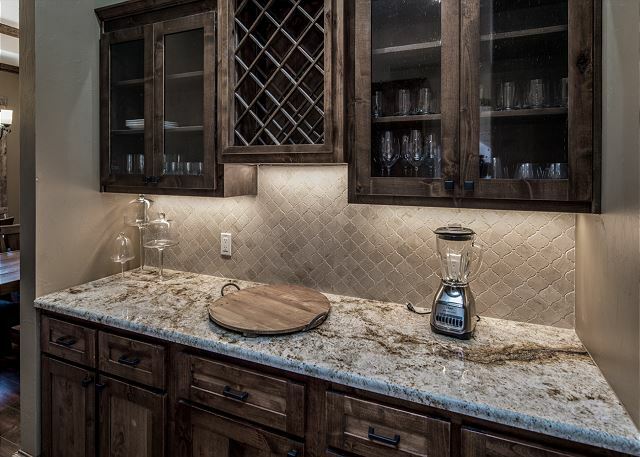 You’ll find everything you could possibly need in your gorgeous kitchen including a huge refrigerator, dual wall ovens, gas cook top, and plenty of prep space. 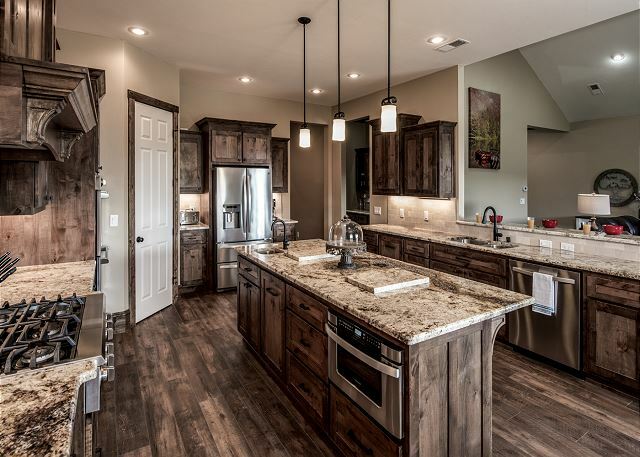 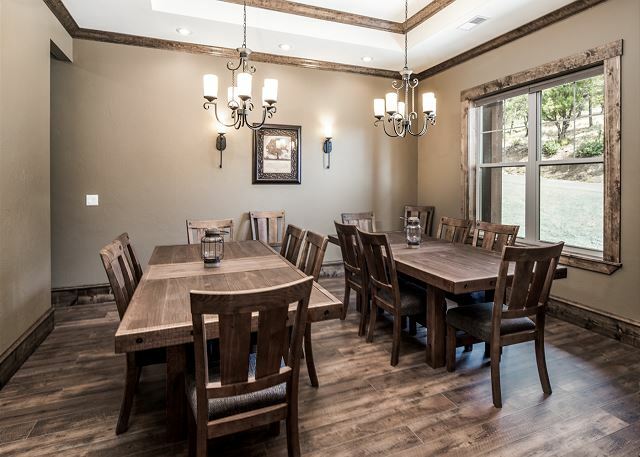 The large kitchen is open to the main living area and has plenty of room for multiple helpers to work side by side. 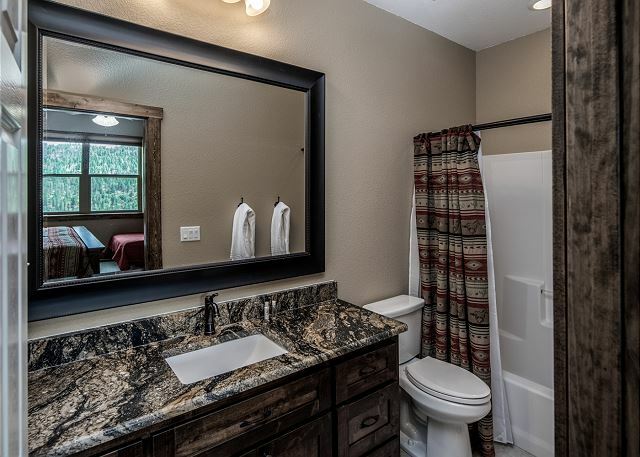 Come for that once in a lifetime vacation but make sure you bring enough cameras for all those selfie opportunities, otherwise no one will ever believe you when you try to describe where you stayed at the one and only, Grindstone Lake Lodge.